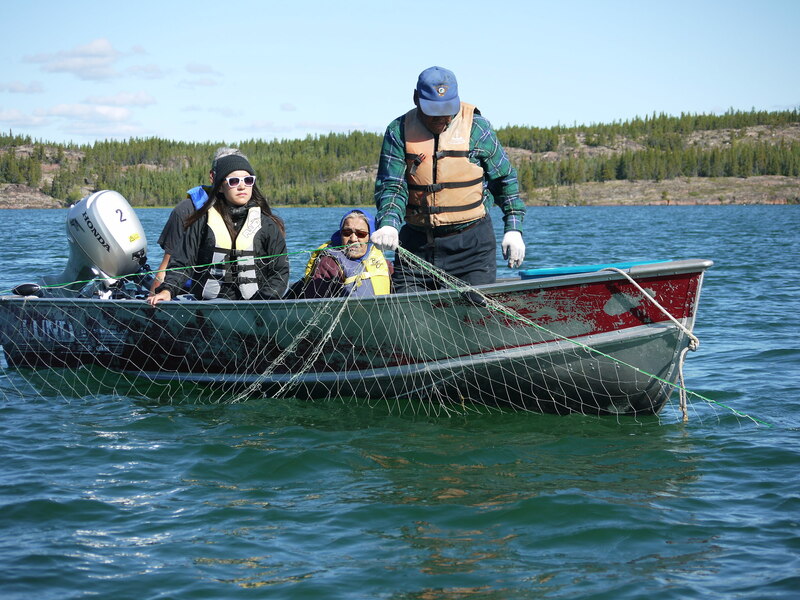 Dechinta Bush University is an all season land-based university program, focusing on Indigenous and Northern governance, self-determination, sustainable communities and resource management, boreal ecology, land-based education,leadership, community based and participatory research. Year-round facility and programs includes semesters, short programs and think-tank gatherings. Opportunities for researchers, visiting scientists and researchers in a diverse community of Academics, social and environmental scientists, Elders and youth. Child care and family programming is available. Facility has been operating since 1979, and is currently a shared eco-tourism and university space. The site has significant base-line data for fresh water fish, water fowl and wildlife, as well as rare geophysical features. The site operates as a model for sustainable remote communities, operating 23+ hours on renewable energy systems and complex waste management systems. The surrounding environment offers diverse opportunities for both research,education and gathering, resourced within a diverse community of northern experts and students. 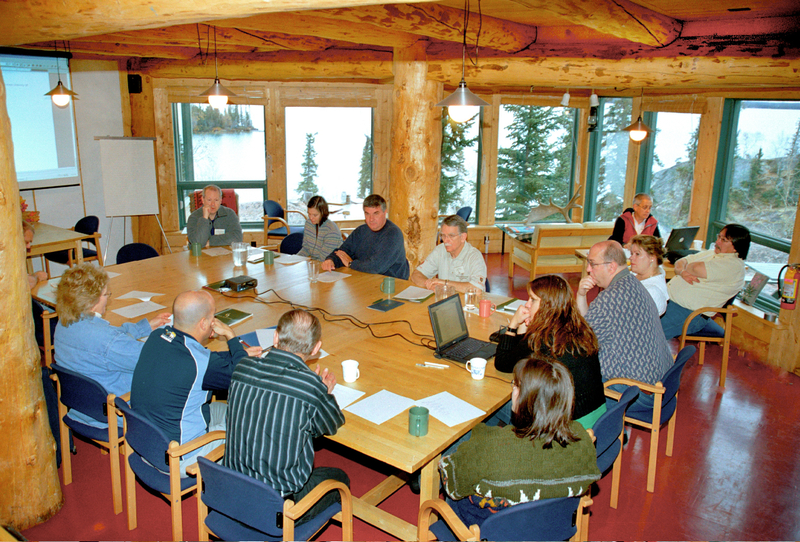 Dechinta also offers training for northern researchers. 17-mile freshwater lake, Boreal ecosystem adjacent to Great Slave Lake within unique geophysical rare-earth complex. 5 Lodge rooms + 5 log-cabins (wood and pellet heat + electricity), winterized tent-frames x 15. Full commercial kitchen with cook, large post-and-beam lodge, common facilities, dining room and break-out/classroom spaces.  All research in the NWT must be licensed in accordance with the Aurora Research Institute http://www.nwtresearch.com/, process of which includes permission process with the host First Nation YKDFN. Boreal Bush environment. Recommended that all researchers have predator defense, or work with an assigned wildlife monitor during field work. Mandatory compliance with safety plans and facility guidelines. Post and Beam Lodge 5 bedrooms, 3 lounges/classrooms, large conference room, offices, composting toilet, solar/wind, on-demand hot-water and laundry, 5 log cabins with full electricity, 15 tent-frames, lab additional accommodation. 45 in the winter 100+ in the summer months. 12 aluminum boats, dog team, skidoos. 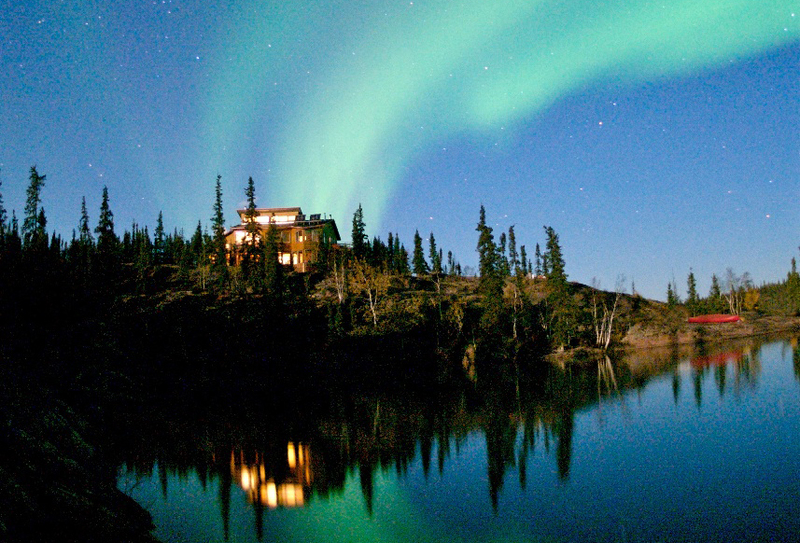 Organic gardens, sauna, hot tub, tee-pees, canoes, kayaks, helipad and float and ski plane access. Open all seasons. 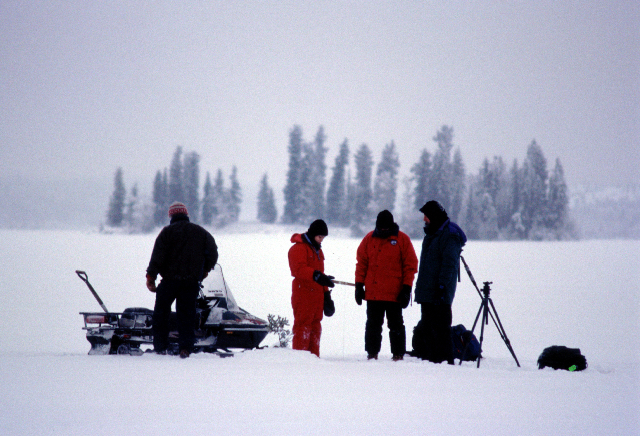 Large populations of bear, moose, loons and other small mammals and waterfowl.